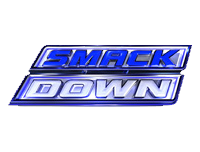 The April 1st edition of Friday Night SmackDown! opens with Josh Mathews welcoming us to the final show before WrestleMania 27. We’re going right into an Intercontinental Championship match. Kofi Kingston defeated Wade Barrett via. Disqualification after The Corre hit the ring and attacked Kofi. (Barrett retains the Intercontinental Championship) – Post match, Santino and Kozlov hit the ring to save Kingston, but the numbers are too much. Kane and Big Show are out next and a brawl ensues, the faces clear the ring. We’re at WrestleMania AXXESS with Todd Grisham, who shows us some of the attractions before interviewing The Bella Twins. We then get a hype video for Triple H vs. The Undertaker. They discuss Randy Orton vs. CM Punk next, we then get a hype video for that. Before talking about a replica of Vince McMahon’s office at the AXXESS events, along with the Superstar Entrance Centre. We get a Hall of Fame induction hype video. We see highlights of Swagger vs. Lawler from Raw. Jerry Lawler cuts a promo in the ring saying that Michael Cole sits at ringside and runs his mouth. He talked about Lawler’s mother, brought his son out and even talked about his father, disrespecting his memory. Lawler says there will be consequences to pay. He says he knows Cole is scared, because Cole has always had help, but at WrestleMania, Stone Cold will deal with Jack Swagger and that will leave them alone, one on one. Cole will be all alone, with no fortress to hide in. Lawler promises to shut Cole’s mouth. We get highlights from the WrestleMania Press Conference. We get more AXXESS hype. We see clips of The Miz making promotional appearances hyping WrestleMania. The Sin Cara video package airs, he debuts Monday on Raw. The Bellas and Grisham discuss the Edge vs. Alberto Del Rio World Championship match. We get a video for it. Cody Rhodes defeated Chris Masters after nailing Cross Rhodes. Following the bout, Rey Mysterio runs down and slides into the ring. He tries to hit the 619 twice, but Rhodes bails both times. We get highlights of Chris Jericho on Dancing with the Stars. The show ends with the video recap of the interaction between The Rock, John Cena & The Miz on Raw.